The world's most scenic city's most famous scenery artist. 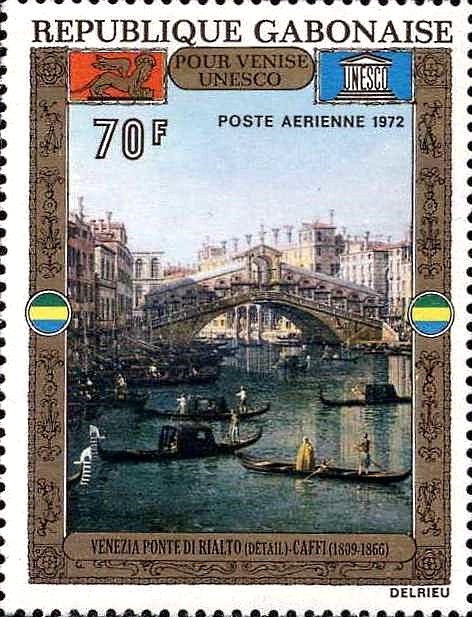 Canaletto is one of those artists who is famous enough to be impressive to the casual art enthusiast, but who was prolific enough that most regional art museums can get their paws on one of his works. It's a good niche, and he shares it with Arcimboldo, Corot, Albers, Chagall, and no doubt a number of others from later in the alphabet. 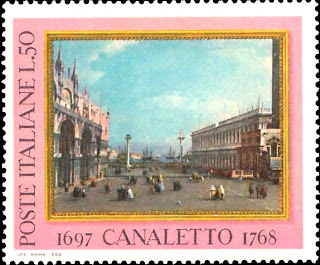 Most museums in a largish city, at some point you'll turn the corner and be all, like, "Ooh, a Canaletto!" How can we tell he is famous? 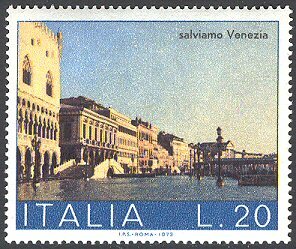 The philatelic legacy never lies. ...he's huge in the microstates! Naturally he's popular in Italy. This stamp SAYS it is a Caffi, but that's a mistake. 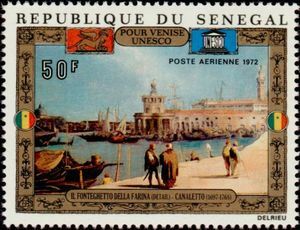 Or perhaps a "mistake" meant to fire up interest for Gabonese stamps. 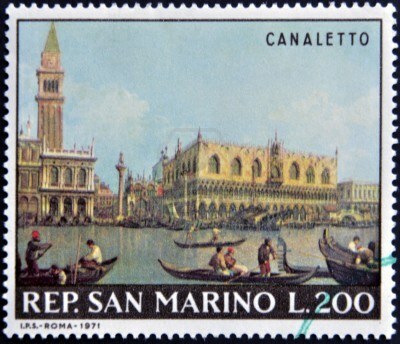 That's definitely a Canaletto. 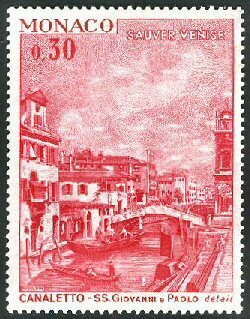 Lots of countries had stamps featuring Venetian artists after the floods of the 1960s made protection of the slowing sinking city a cause celebre'. 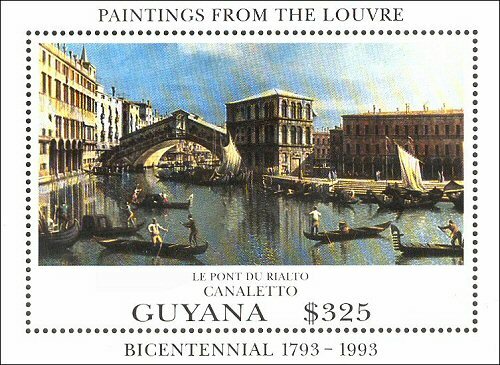 Guyana loves the Louvre! Who doesn't! 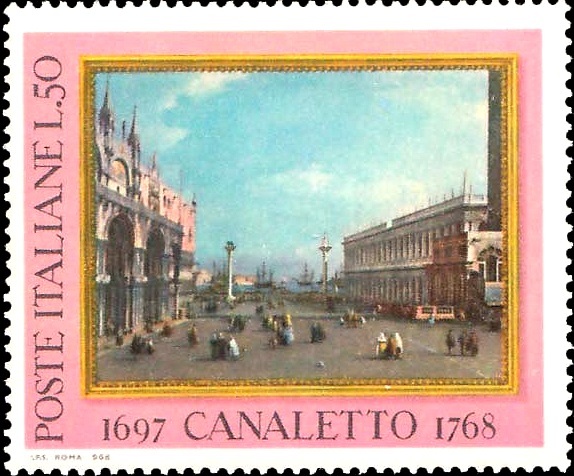 But all the postage in the world can't mail Canaletto back into the Infinite Art Tournament. He exited on June 1 with a record of one and two. One of the two was Caravaggio. No one ever said that the Infinite Art Tournament was going to be fair.